Dakar Rally TICKER: "Very nice and funny stage today! Navigation was difficult, specially for the riders who started in the first places. For me it was a good day, with no mistakes and a good pace," said biker lady Laia Sanz in the evening, she finished 15th today. Dakar Rally TICKER: Former T2-Dakar winner Xavier Foj had to retire after a crash: The Toyota Land Cruiser pilot today rolled the car in the stage. Driver and navigator are ok but they broke the rollcage so they can´t start again because of security reasons. Dakar Rally TICKER: Nani Roma official out! Organizer ASO officially put X-raid´s Nani Roma, who rolled his car today, in the withdrawn list. Also out: French Toyota-specialist Ronan Chabot (Toyota Overdrive), the German Rainer Wissmanns (Toyota Overdrive) und seven more cars. 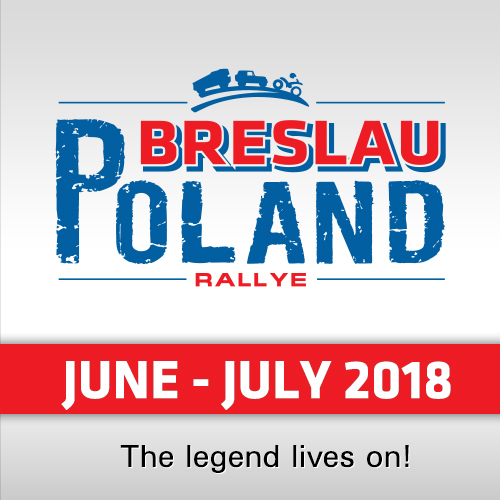 In the bikes, the Czech Ondrej Klymciw had to retire and in the trucks next to other three officially 76-year old Dakar legend Yoshimasa Sugawara is out of the race. Dakar Rally TICKER: Only three trucks finished today´s SS03 but it looks like that Argentinian Iveco crew of Federico Villagra / Ricardo Adrian Torlaschi / Adrian Arturo Yacopini have won the stage only 35 seconds in front of the Kamaz of Eduard Nikolaev / Evgeny Yakovlev / Vladimir Rybakov and 4:09 minutes before the second Kamaz of Airat Mardeev / Dmitriy Svistunov / Aydar Belyaev. Dakar Rally TICKER: Today´s third in the Bikes, the Australian Toby Price, was happy with the stage. "Today was a good day! I felt comfortable and I'm really starting to gel with my bike. We had a tip over around 140 km mark, dropped off a small sand dune and lost a lot of fluid and filled my road book up with sand! Ready for tomorrow!" Dakar Rally TICKER: The rally is bringing money! As the agency "Andina" reported, the Paracas district, in which the rally stayed for two days, earned over 3.5 Mio US-Dollar from accomodation and food service activities. The region counted more than 55.000 spectators. Dakar Rally TICKER: Nani Roma was brought to Hospital. After he rolled his X-raid Mini but could finish and reach the top ten, he is maybe injured. We will keep you updated. Dakar Rally TICKER: The first trucks are shortly before the finish line. Actual leader is the Kamaz of Nikolaev, followed with only 54 seconds by the Iveco of the Argentinian Villagra and the second Kamaz of Mardeev. Dakar Rally TICKER: Czech Martin Prokop today rolled his Ford Ranger slightly - but he could complete the stage and finish on 8th position which means he is 9th in the overall ranking. Dakar Rally TICKER: What a crazy start for the rally for X-raid Mini. Today Nani Roma rolled his car shortly before the finish but could continue and finished 16th, 26:40 minutes behind the winner Al Attiyah. Dakar Rally TICKER: "A hard day, I went wrong and lost a lot of time. It is just the beginning of the Dakar, but the truth is that this is one of the fat mistakes you shouldn´t make," said yesterday´s winner in the bikes Joan Barreda Bort. Dakar Rally TICKER: "Wow, that was tough, higher dunes, softer sand," quoted Dirk von Zitzewitz, navigator of the South African Giniel de Villiers (Toyota Hilux Gazoo). "We had a clean run in terms of driving and navigation. A bit too cautious but it was also easy to destroy things. Happy with our approach but would have loved tom come in 2, 3 minutes earlier." Dakar Rally TICKER: The Dutch De Rooy Iveco driver Ton van Genugten was pushing hard today. But as sources from Holland said, he crashed with the truck. 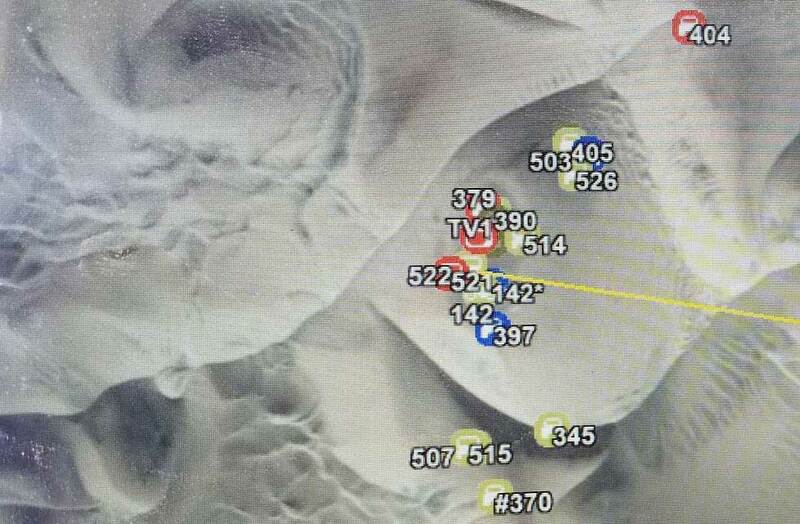 The crew is ok.
Dakar Rally TICKER: Confusion in the trucks? Many trucks didn´t start until now. But this has special reasons: Some trucks like the DAF of the Dutch Marc Leeuw didn´t finish the stage on Sunday and had to stay in the dunes because it was nearly impossible and especially too dangerous to drive in the night. Some joinde small groups to stay secure (and not alone). For this reasons some of these trucks will start later. Dakar Rally TICKER: Stagewin for Nasser Al Attiyah and Matthieu Baumel in the Gazoo Toyota Hilux! The Qatari and the French finished the stage in 03:09:08 hours, 4:05 minutes in front of Stéphane Peterhansel and Jean-Paul Cottret (Peugeot) and all other (!) factory-Peugeot of Carlos Sainz / Lucas Cruz (+5:47), Cyril Despres / David Castera (+7:43) and Sebastien Loeb / Daniel Elena (+8:34). Dakar Rally TICKER: Ignacio Casale from Chile is the winner in the quads today. He managed the stage in 03:58:08 hours with a big gap of 29:51 minutes to second Alexis Hernandez from Peru and 30:17 to the third Sergej Kariakin from Russia. Provisionla fourth is Pablo Copetti from Argentina (+34:16), fifth Jeremias Gonzales (Argentina, +37:02). All are competing with Yamaha quads. Dakar Rally TICKER: Bad day for Barreda Bort: The yesterday´s stagewinner and overall leader today lost 27:49 minutes to the winner Sam Sunderland because of a big navigation error (also other bikers like Xavier de Soultrait followed him and made the same mistake). This means both are not in the overall top ten anymore. 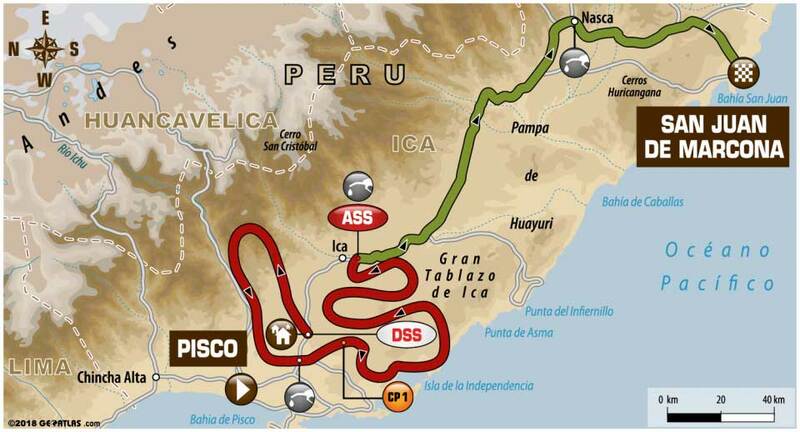 Dakar Rally TICKER: Now also the trucks started in today´s SS03. In the cars the actual leader is Nasser Al Attiyah with his Gazoo Toyota Hilux 2:30 minutes in front of the three Peugeot of Peterhansel, Sainz and Despres, followed by Giniel de Villiers in the second Toyota. 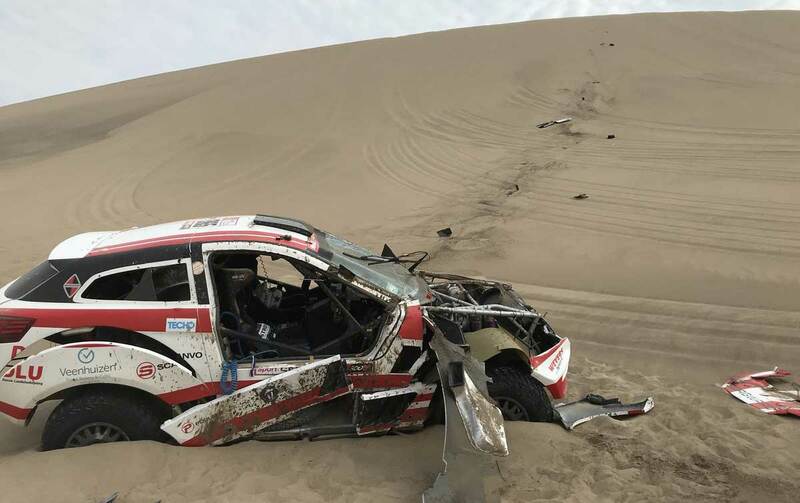 Dakar Rally TICKER: Dakar-"Boss" Etienne Lavigne himself stopped with a helicopter to take heart to Alicia Reina who lost her Toyota Hilux Prototype (no Overdrive) after a fire in the dunes. Reina´s husband was reporting about a maybe whole in the fueltank which caused the fire. Dakar Rally TICKER: The first quads are shortly before the finish. Leading with massive 20:56 minutes gap is the Chilenian Ignacio Casale with his Yamaha, followed by Sergey Kariakin from Russia (Yamaha), Pablo Copetti (Yamaha, Argentina, +26:51), Marcelo Medeiros from Brazil (Yamaha, +27:44) and the Argentinian Gustavo Gallego (Yamaha, +28:46). Dakar Rally TICKER: Sam Sunderland is winning in the Bikes again! The Brit finished today´s stage in 03:20:43 hours, 3:03 minutes faster than Kevin Benavides from Argentina (Honda) and 3:28 to Toby Price from Australia (+3:28). Fourth is the US-American Ricky Brabec (Honda, +3:55) in front of Pablo Quintanilla from Spain (Husqvarna, +4:20). 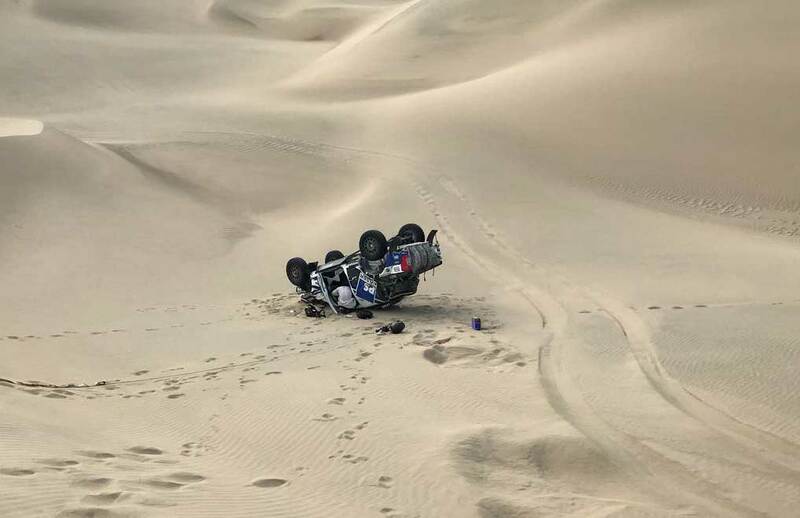 Dakar Rally TICKER: Bad day for the Argentinian Alicia Reina and Carlos Dante Pelayo: Their Toyota Hilux Prototype (no Overdrive) today totally burnt down in the dunes. 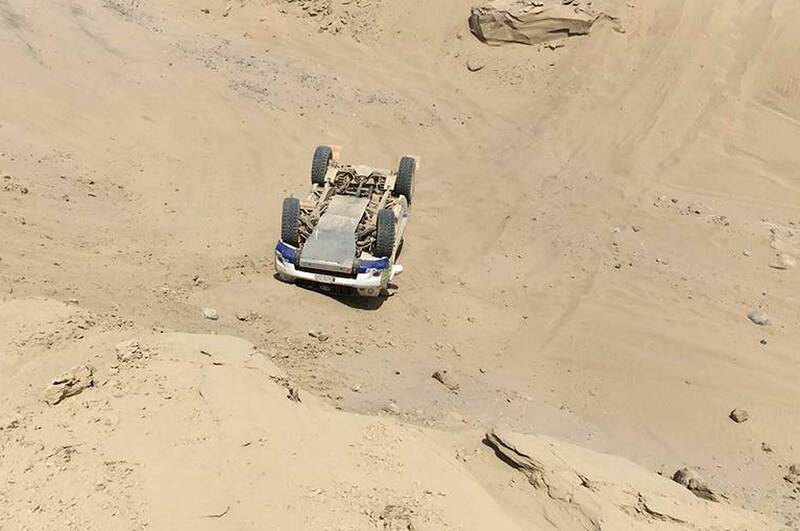 The crew is ok.
Dakar Rally TICKER: The Cars are in the race! At CP1 the leaders are only some minutes from eachother, so we can´t see a trend now. Carlos Sainz is leading with his Peugeot 12 seconds in front of his teammate Stéphane Peterhansel, 22 seconds to Nasser Al Attiyah in the first Toyota, 57 seconds to Giniel de Villiers in the second Toyota and 1:05 minutes to the first Mini (Buggy) of the Finn Hirvonen. Dakar Rally TICKER: Yesterday´s stage saw less withdrawels than expected, only in the bikes category 11 drivers (Lajos Horvath, Adrien Metge, Pablo Oscar Pascual, Charles Cuypers, Jakub Piatek, Danny Robert Nogales Copa, Stephane Bouvier, Jeroen Ramon, Olivier Hembert, Takayuki Momma, Arturo Chirinos) left the rally. In the Side-by-Sides all participants are still racing, in the Trucks only the MAN TGA of Georges Ginesta, Christophe Allot and Marc Dardaillon retired. In the cars the crews of Bryce Menzies, Sergej Shikhotarov, Sebastian Guayasamin, Ramon Nunez will no more follow the race, in the Quads Mariano Bennazar and Christian Cajica Pinto had to retire - so 18 teams overall. Dakar Rally TICKER: Also the quads are in the stage. First is actually the Chilenian Casale with his Yamaha, followed by the Russian Sergej Kariakin (Yamaha, +7:59) and the three Argentinians Cavigliasso (+22:23), Copetti (+24:10) and Gonzales (+25:15), all riding with Yamaha. Dakar Rally TICKER: In the bikes, the Australian Toby Price took the lead 11 seconds in front of last year´s winner Sam Sunderland. The two KTM-riders are followed by Pablo Quintanilla (Husqvarna, +42 sec), KTM rider Meo (+1:09 mins) and Aubert (+1:09). Dakar Rally TICKER: The Bikes started in SS03 of the Dakar 2018! Actual leader in the Brit Sam Sunderland (KTM) with 00:35:26 at the first CP, followed by the Australian Toby Price (KTM, +9 seconds) and French Xavier de Soultrait (Yamaha, +39), Pablo Quintanilla (Chile, Husqvarna, +50 sec) and Kevin Benavides from Argentina (Honda, +1:15). Dakar Rally TICKER: As we said... a long day for many competitors in SS02 - and it will be more tough! As the organizer reported, more than 30 competitors didn´t reach the finish line and had to stay for a night in the dunes. They are now on their way to the camp in Pisco for the start of SS03. Good Morning from South America! Today will be the third stage of the Rally - and the second stage mostly in the sand: 64% Sand, 36% Soil - 800 kms overall, 296 kms racing. The Rally will move to San Juan de Marcona today. At this point, Dakar veterans will still be warming up. The day’s challenge will mainly be disputed off-piste, both across a chott and in the heart of the canyons. Bikes and quads will leave the main route for a fifteen-kilometre detour, without increasing the day’s total distance. 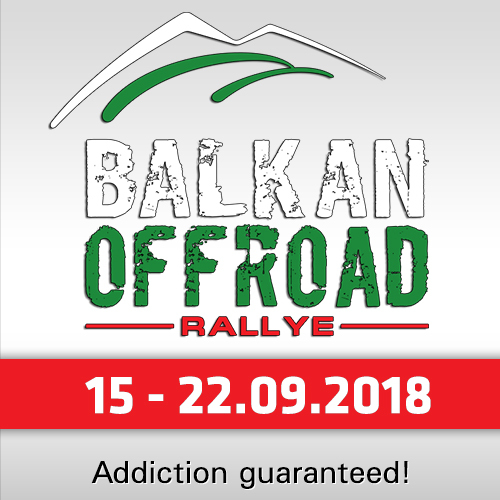 Newcomers to the rally, some of whom will already have experienced some difficulties, will be starting to feel a little worse for wear by this stage. 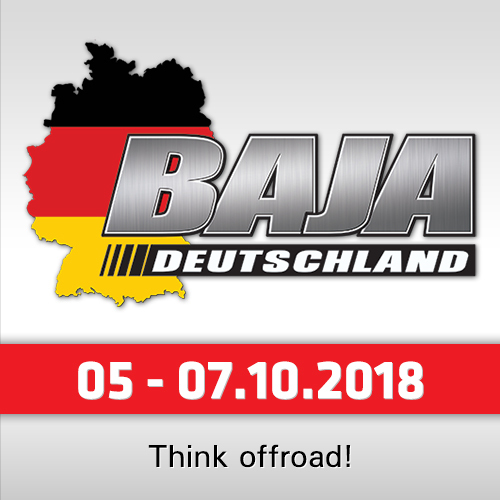 Today the bike will start first at 05:45 local time (11:45 CET), followed by the Quads at 06:46 local time (12:46 CET), Cars at 08:11 (14:11 CET), Side-by-Side 09:05 (15:05 CET) and Trucks 09:59 (15:59 CET). All groups are driving 196 km Stage, 504 km Liaison so 800 km overall.